Having naturally poker straight hair has been a blessing for me in many situations – like not having to get up early to straighten it, very few problems with knots and tangles, and no issues if I get caught in the rain. But the one downside to being a straight-haired girl? No matter what tools, techniques, and products I use, trying to get curls to hold in my hair is the beauty bane of my life. I’ve dabbled with various types of wands and tongs, and have even tried using straighteners, but it wasn’t until I was introduced to the Pro Blo that I’ve actually been able to make wearing curls a reality. 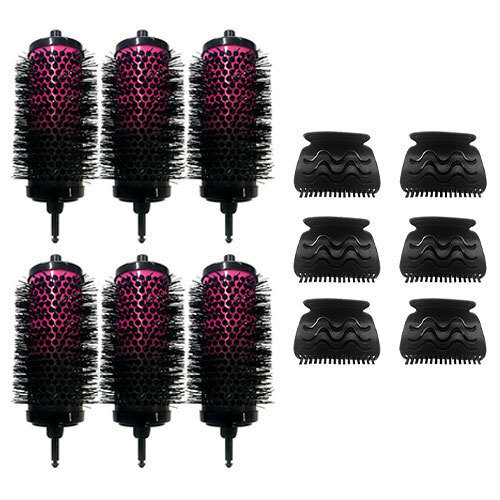 The Pro Blo is a set of ceramic brush barrels with a detachable handle, which you use to roll up sections of hair and clip them in place then blast with heat from your hairdryer. 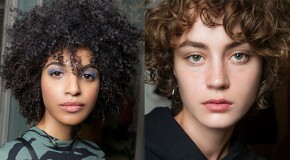 The longer you leave them in, the better results you’ll see, but one thing’s for certain, your hair will hold that curl. It’s basically a modern day, super speedy, and completely effortless version of wearing old-school rollers. 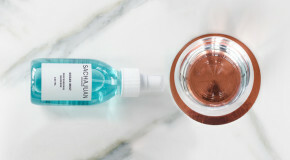 Depending which size you use, you can use it to create loose waves as well as tight curls – using a mix of all three is a great way to create natural looking curls that aren’t too uniform. 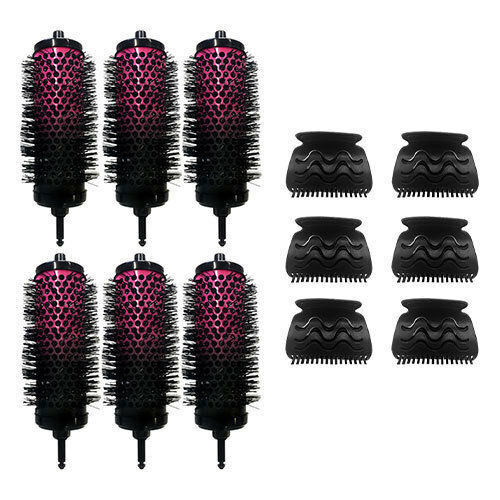 This is the best thing about the Pro Blo – you can use it in so many different ways, so whether you want beachy waves, really tight curls, or a big bouncy blowdry effect, you can get it. Most of the time, I don’t want a full set of crazy curls – just the sort of smooth shape and weightless movement that you walk out of the hairdressers with, that over a few days evolves from perfect curls to soft beachy waves (think Lily Collins and Chloe Moretz). That’s exactly what the Pro Blo does for me – my hair is finally ready to bounce. – Rough dry your hair so it’s 60-80% dry before you put your Pro Blo in. – Don’t pull on the barrel as you remove it. Instead, unroll slowly away from your head using both ends of the barrel to prevent pulling the shape out. – Curl your hair in neat, even sections, each with a width slightly less than that of the barrel. It’s harder to curl thick sections. 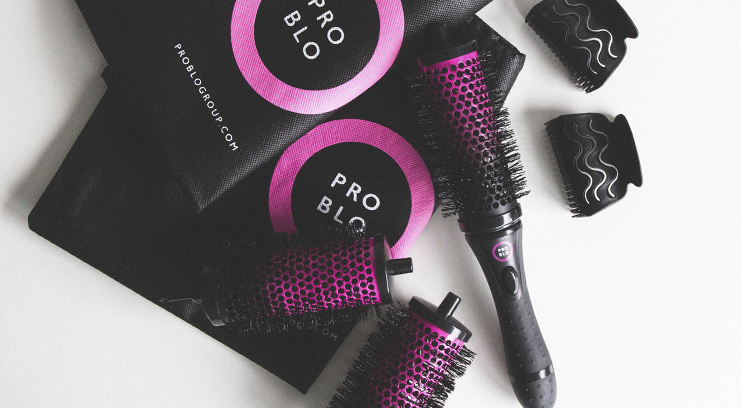 – Keep your Pro Blo barrels in until your hair has completely cooled. The heat from your hairdryer gives shape but cold air sets the shape in place. – For a beachy, wavy look, run your fingers through your curls once they’re completely cool. – To keep your curls in place for longer, tie your hair into a loose ballerina bun on the top of your head overnight. Which Pro Blo is best for me? For bounce, volume, and a loose curl. For volume at the roots and a sleek blowdry effect.